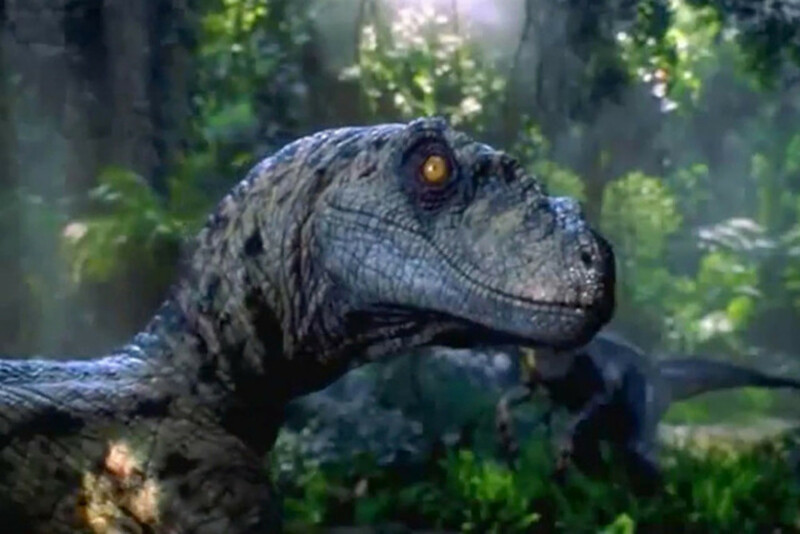 Did Dinosaurs Have Feathers or Scales? The author is a biologist who worked in conservation, aquatic biology, and woodland management over many years. When I first started working in the life sciences, the idea that familiar dinosaurs like the Tyrannosaurs or the Triceratops might have feathers had not entered anyone's mind. 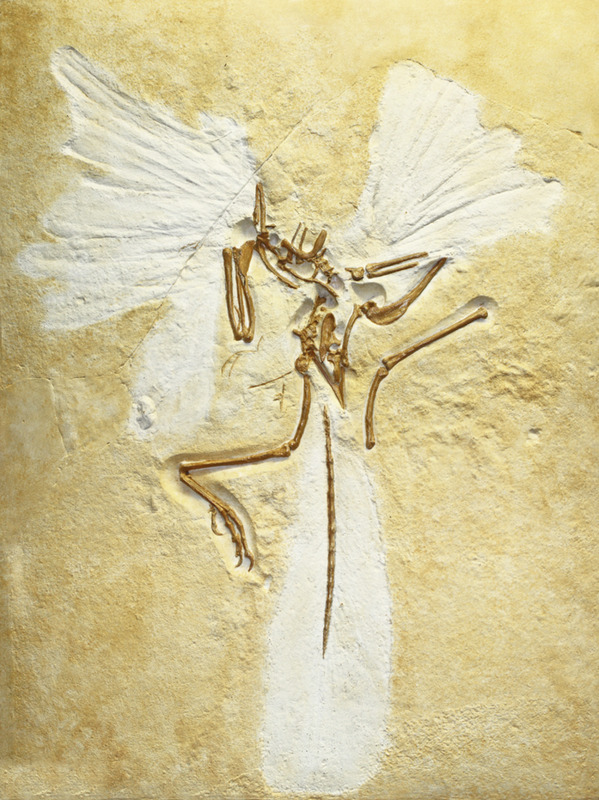 There were just a few fossils of creatures like Archaeopteryx (pictured above) that combined bird-like qualities, including feathers, with dinosaur features, like teeth and a long tail. Nowadays, some scientists believe that all dinosaurs came from a single feathered ancestor and that every species had feathers, or at least tiny proto-feathers. Other scientists want to see a lot more evidence before jumping to this conclusion, and believe that scales were the norm, with feathers in just a few groups. This page looks at the dinosaurs that certainly had feathers, and examines the way that the most recent evidence is stacking up in the feathers-versus-scales debate. What are the Advantages of Feathers Anyway? The dinosaur, Sinosauropteryx, with a feathery fuzz. They are tough enough to protect against everyday scrapes, yet so light they will not slow an animal down. There is evidence that some dinosaurs were warm-blooded and the fantastic insulating qualities of feathers (think of a down-filled duvet) would be an advantage in cool climates. Feathers shed water very effectively. Air is easily trapped inside feathers. Animals that spend a lot of time in water will stay dry and float more easily. There are other advantages, too. Many birds (now widely seen as the descendants of dinosaurs) use colored feathers to blend into the background and avoid enemies. Other birds use brilliantly colored plumage to make them stand out to mates. The chance are that dinosaurs followed similar strategies. Feathers only came into their own as sophisticated wing coatings late in the age of dinosaurs. Where did the Feathers Come From? 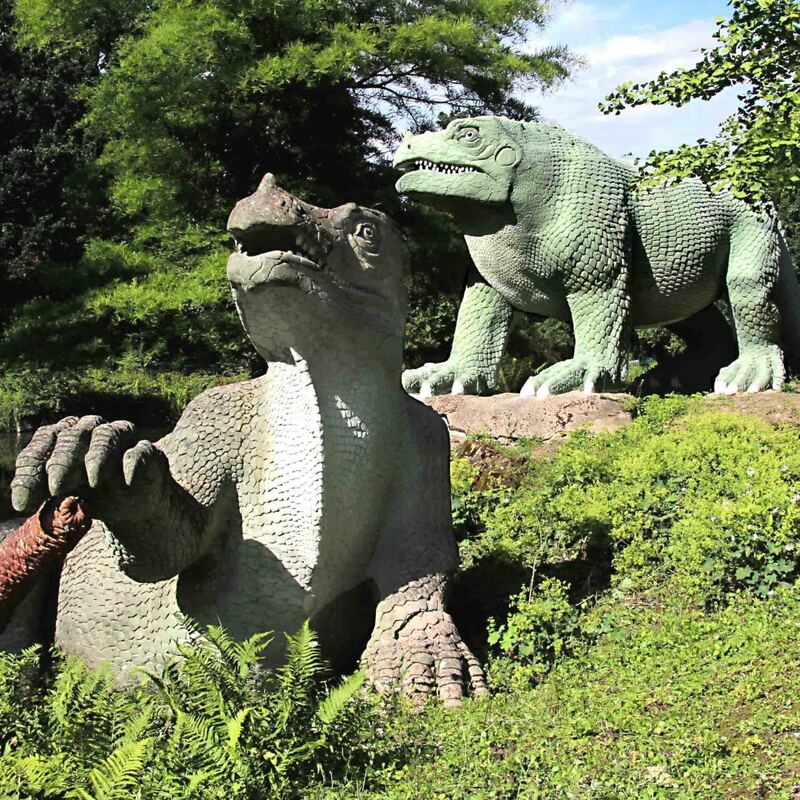 Fossil discoveries in China's Liaoning Province, from the 1990's onward, have provided some answers to this question. Dinosaurs were preserved in remarkable detail in this region as a result of volcanic eruptions that buried many individuals under layers of fine ash. A family of dinosaurs called the Theropoda (which includes Velociraptors and Tyrannosaurs) is preserved in the rocks in that region, with feathers of different kinds. Some of the fossil 'feathers' are simple hollow tubes which scientists call proto-feathers. Others are very much like the feathers of modern birds, with a complex, branching, and interlocking structure. The early proto-feather tubes are almost certainly a mutation of reptile scales. It only needs a small change at the genetic level for the skin cells that produce flat scales to start producing hollow tubes instead. Evolution did not stop there, though, and culminated in the marvelous plumage of modern birds. 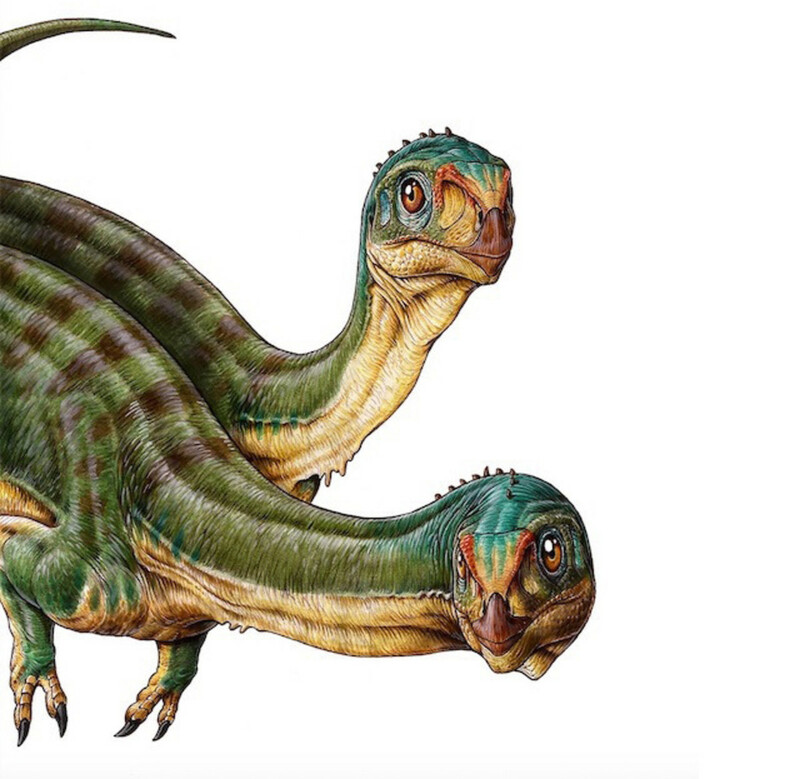 The Ancestor of All Dinosaurs with Feathers? 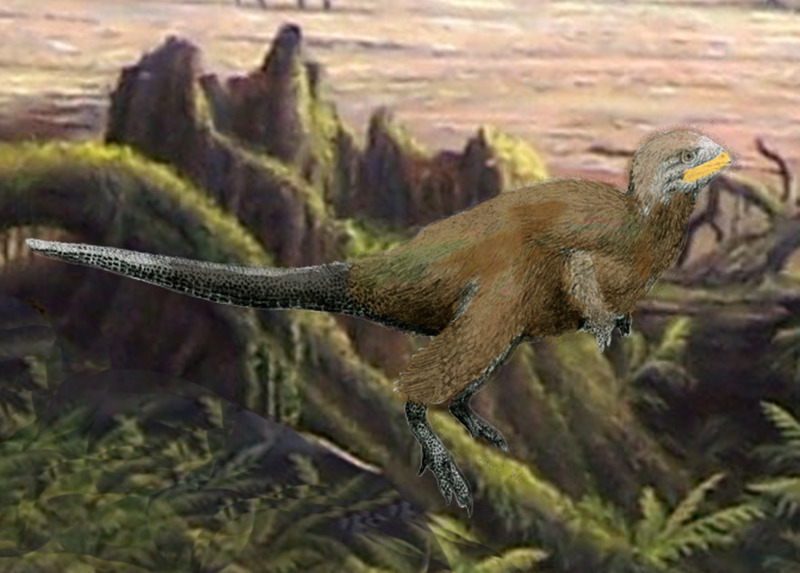 Kulindadromeus (pictured above) was a feathered dinosaur, discovered in 2014. It is such an ancient dinosaur, and appeared so early in the evolutionary tree, that many scientists believed that feathers were normal for dinosaurs from the earliest times. Suddenly, illustrations of Stegosaurus, Brontosaurus, and other childhood favorites were sporting feathers in magazines around the world. In 2015, however, the Ontario Museum in Canada took a close look at many of the best-preserved fossils. 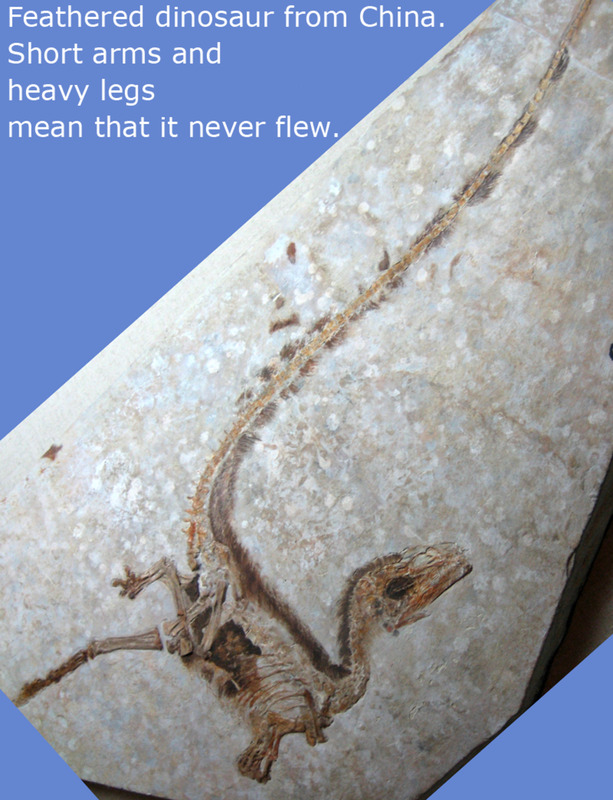 They looked for feathers and scales, then concluded, after some clever calculations, that most dinosaurs had scales. The argument is not over, of course, but for now only the Theropoda show abundant evidence of feathers. So Which Groups had Feathers? Below are some examples of the dinosaurs that had feathers. 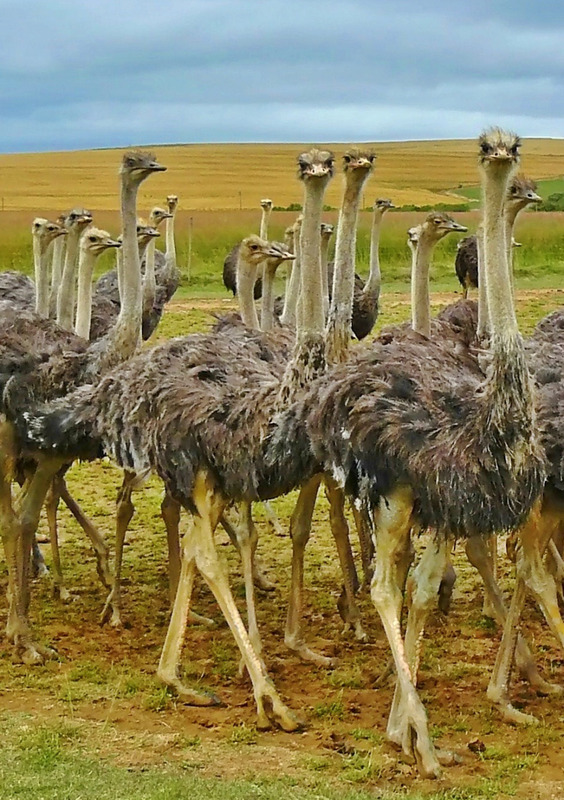 They are all members of the Theropoda group. The discovery of quill knobs in a raptor fossil that are very similar to the quill knobs of modern birds means that this group had the kinds of feathers we are familiar with today. The Utahraptor is a famous member of this Theropod group, attracting worldwide attention after a spectacular find in Utah. Six individuals were found together including a large adult (taller than a human being and many times heavier), some youngsters and a baby. This might have been a family group that met disaster, or it might be that successive individuals were tempted into swampy ground by a tasty-looking prey animal and died together. Not all Theropoda were giant hunters. The Theropod family called Dromaeosauridae includes smaller creatures like Deinonychus antirrhopus, illustrated above. It stood about about a meter tall. The entire Dromaeosauridae family had feathers. It was widespread and very successful, surviving for around 100 million years. Feathered 'King of the Terror Lizards'. T.rex was another member of the Theropoda, but not a small one! 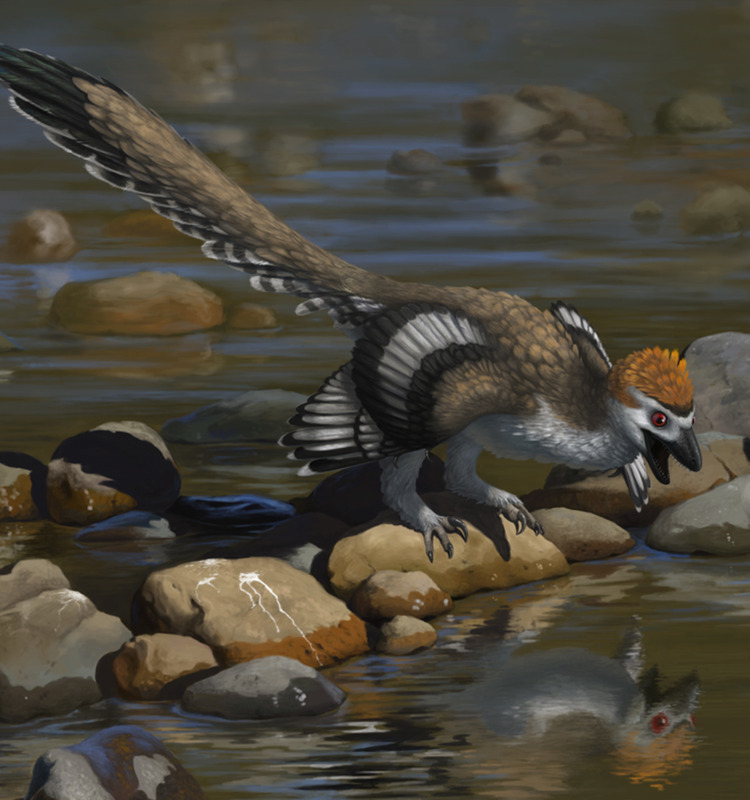 Scientists do not have the kind of ultra-detailed fossils needed to be certain that this monster had feathers, but it is widely agreed that it would be surprising if did not (given its ancestry). The wonderful fossil above clearly shows that Archaeopteryx had feathers of a kind similar to modern birds. It is classified by scientists as a Theropod but arrived on the scene much later than the Theropods described above. It was certainly capable of flight. The fossil above was found only a few years after Darwin published his 'Origin of Species' and some scientists at the time saw it as a missing link between dinosaurs and birds. 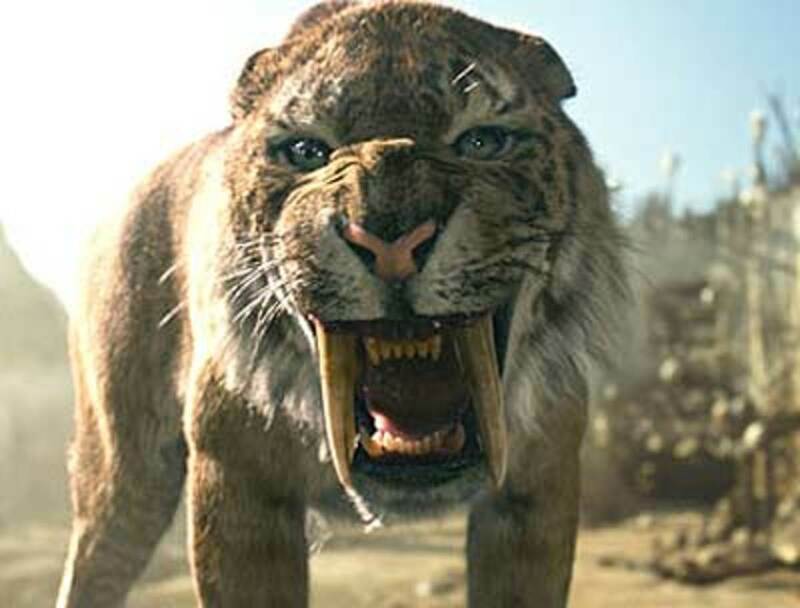 The idea was largely ignored until the finds in China provided a mass of new evidence to link the two groups. 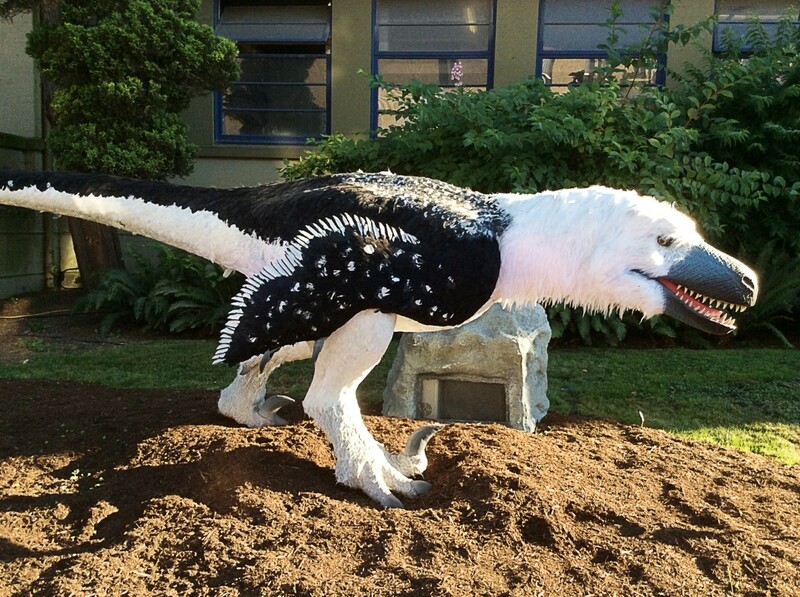 Which is why, in my college days, no one would have thought of a feathered Tyrannosaur! One of the main differences between birds and dinosaurs is the backbone. A bird's backbone is rigid which helps it to fly. A dinosaur's backbone is flexible. This difference allows scientists to identity the creature in the video below as a small dinosaur, even though the perfectly preserved feathers are very similar to modern birds. Modern birds belong to a class called Aves but their lineage is clear. 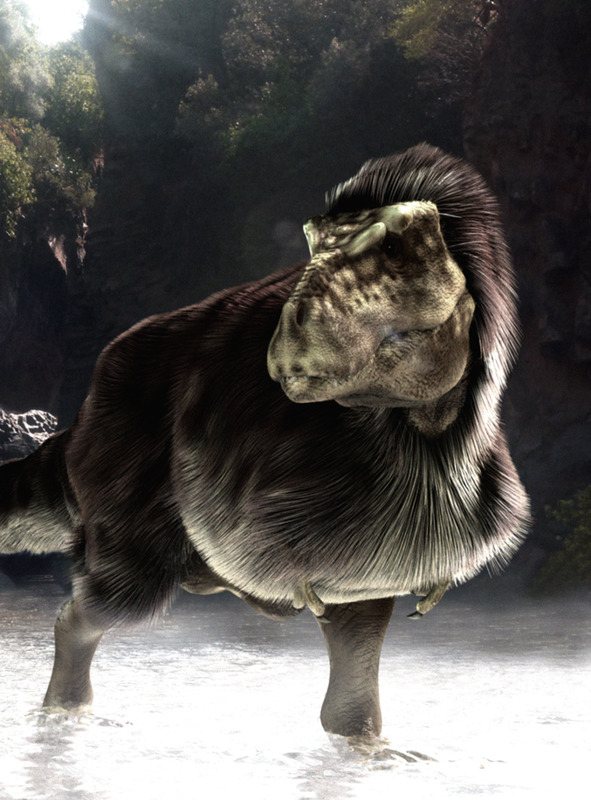 They are evolved directly from Theropods like the Velociraptor and are very similar in appearance, if lighter in build. 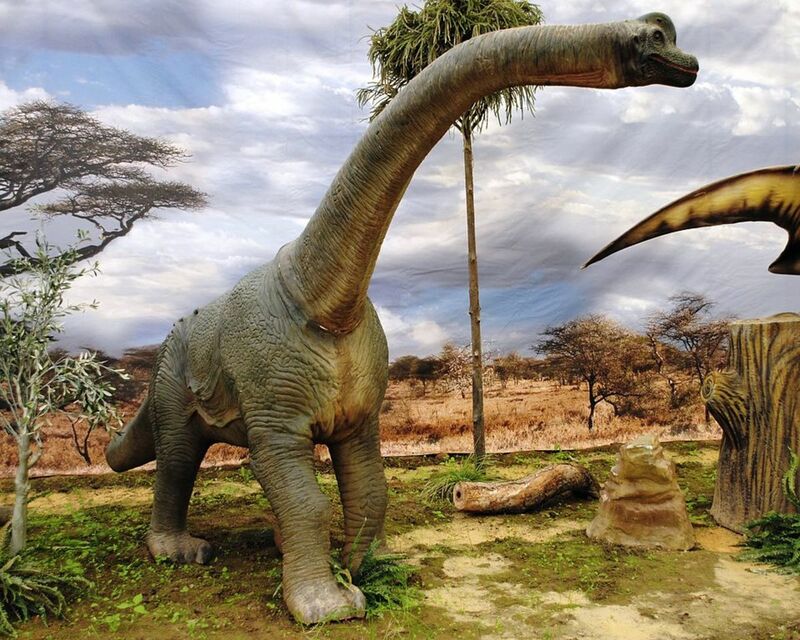 Which Dinosaur Groups Had Just Scales? The most recent study by Canadian scientists, discussed above, suggests that most dinosaurs were covered entirely in scales, just as their reptile forebears were. The likelihood is that feathers evolved more than once in the dinosaurs; the scale-to-feather mutation was an accident always waiting to happen. This possibility of multiple feathered lines has confused the picture, and means that more evidence is needed to be entirely sure which species were feathered and which were not. For now, though, if you have a treasured model of a bald Brachiosaurus, as illustrated below, you will not need an upgrade. 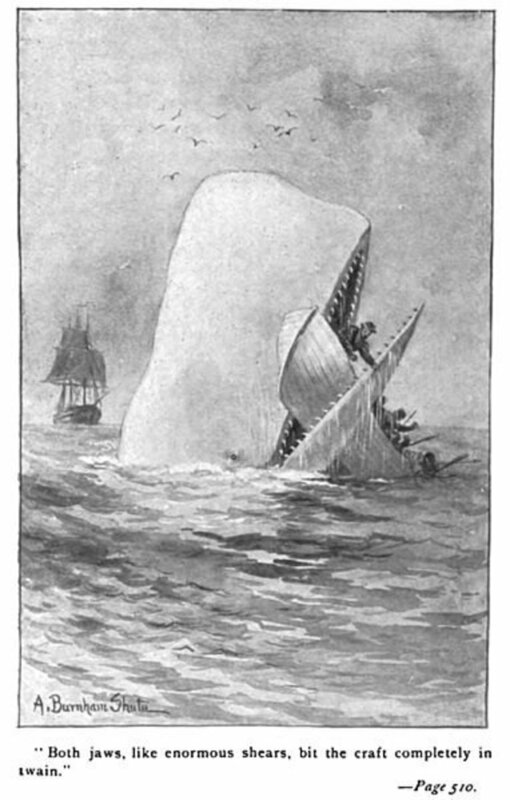 Megalodon Shark vs. the Leviathan Whale: Who Would Win? I think it gives you a different perspective, Alison. I certainly look at chickens in a different light! It felt so weird, when my son had a science project in second grade, to draw feathers on the dinosaurs. I too am glad science is taking big strides, but it's weird. Terrific article; I really enjoyed seeing these incredible fossils and the illustrations. Sharing on FB! Thanks Silva. I am just pleased to have liven long enough to see the science I care about make such big strides, lol. What a wonderful well-written article! 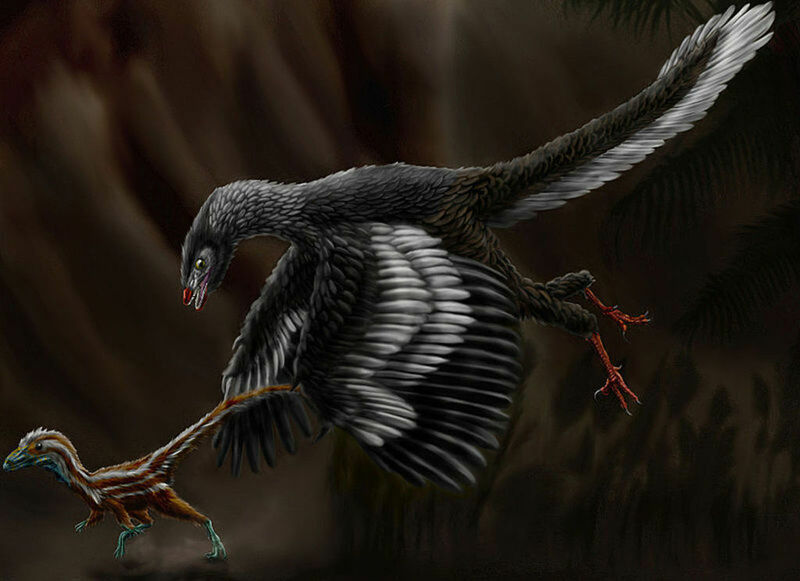 I love the images: T-Rex with a feathered cape, and the picture of the Archaeopteryx is amazing.